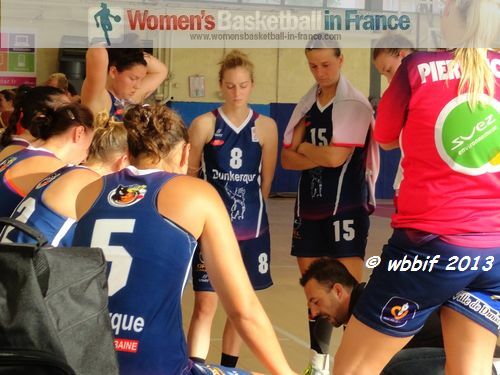 Sébastien Devos is back for another adventure with Dunkerque Malo Basket Club in the Ligue Féminine 2. This year we caught up with him for a wbbif one-on-one session. Devos talks about himself, his career as a trainer, the challenge of working with a lower budget each season. Veuillez écouter notre interview avec Sébastion Devos, l'entraîneur de l'équipe 1 de DMBC qui se trouve en bas de page. In the video interview he also explains why people in and round Dunkerque should come and support his team and women's basketball in general. 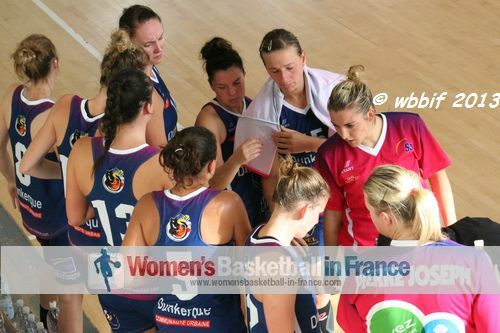 Last season (2012-2013) at womensbasketball-in-france.com we asked the question "Can Dunkerque Malo push for the title in 2012/2013?". Unfortunately the answer was "NO" as Dunkerque finished closer to the bottom than the top. By watching the video you will get a better understanding of the challenges of running a women's professional basket team. We thank Sébastien Devos for taking the time to share his thoughts with us. Our French readers will have no problems following his interview as it was conducted in French. 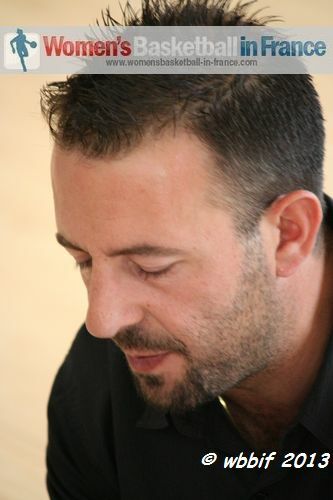 Sébastion Devos is 34 years old and the father of two young boys. He comes from a family heavily involved in sports. His uncle played football while his father was and still is involved in basketball. Devos was an assistant coach to his father Christian for a number of seasons before taking over from him in 2009. He explains that while he has the backing of the president to run the team, he continues to work on himself to become a better trainer. His clubs has suffered over the last couple of years with a huge drop in their budget. This leaves him with a new challenge for this season. The club has decided to work with a lot of young players and brought in a number of players from the lower divisions to make up the roster. He believes the championship will be very open with the battle for the top place being tight. While he would like his team to challenge for a top spot, he understands the difficulty because the LF2 is highly competitive. All the same he wants to see an improvement on his team's last season position. For anybody visiting France during the season and happening to be in the region of Dunkerque and liking basketball, do not hesitate to watch Dunkerque because Devos has promised that his team will not disappoint and give everything to win a match. The newcomers to Dunkerque Malo Basketball Club are: Taelor Karr (Gonzaga NCAA), Rozewicz Marta (Franconville, NF1), Clémence Urien (Bourges, NF2), Victoria Ricart (ESBVA, NF2) and Anaïs Viale (Colomiers, NF1). Coming back are: Sonia Bal, Lisa Faurez, Aurélie Durand, Dace Pierre-Joseph and Coralie Desprez. Sébastien Devos invite nos lecteurs à une aventure de son club, Dunkerque Malo, avec passion et ambition. Il explique pas seulement le développement personnel mais aussi du challenge de travailler dans le basket haut niveau.